Welcome to Music Plus Learning Center! Our goal is to encourage your learning of musical technique, theory, and composition in an enjoyable environment. Our teachers tailor instruction to your goals balancing proven teaching methods with a spectrum of techniques that suit your learning style. PRIVATE LESSONS Personalized goal-oriented training and focused curriculum for serious advancement Piano●Guitar●Vocals●Drums●Strings●Brass ●Winds Individualized instruction caters to different learning styles and interests. 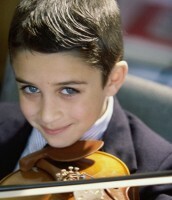 For young children and youth, private lessons offer an affirming experience that promotes success. Adults learn music more quickly than children and the one-on-one format of private lessons offers you the highest level of attention and the opportunity to learn at your own pace. GROUP LESSONS Introductory experiences that open the world of music to you. Based on demand we offer group piano ,guitar, ukulele , vocal and drums group lessons. Group lessons can be a cost effective way to begin musical instruction. A 1 hour lesson usually costs around 10% less than a 30 minute private lesson. Young learners enjoy the social, active nature of group classes. These often include audio/visual elements like computer and ear training stations which offer learning advantages to many learners. Group guitar and ukulele lessons are popular with adults. Inquire about group lessons for adults available with demand. The piano’s black and white key layout helps beginners visualize musical structure. We recommend piano for very young learners because piano basics provide multiple entry points for learning other instruments. Our electronic piano lab, outfitted with 88 key, weighted touch pianos, head phones, video screen and learning stations offers an affordable, social learning experience well-suited for children and beginners. Adult group lessons available with demand. Acoustic and electric guitar command huge interest among youth, teens and adults. The ways a player moves fingers to a note, applies pressure and plays that note has a million variables, allowing for almost infinite expression of the guitar’s voice. Music Plus musicians can teach classical to rock. Please consult us to find the best instructor fit for your interests. Music Plus offers percussion lessons with single drums, drum set ups, and mallet training. We cater to those advancing in drum line, band or orchestral contexts to those who want to play drum set in a group or ensemble. Our percussion teachers demonstrate a fun variety of styles, and they love drumming and sharing their talents even more. The voice is a wind instrument we all possess and can learn how to play! At Music Plus, we focus on many facets of vocal development like breathing, resonance, placement, articulation, volume control, phrasing, registers, vibrato, and the blending of “colors” to create various sounds. Opinions about the best age to begin vocal lessons vary. We carefully match curriculum to the age and development level of each student. Realistic range, proper breathing and other proactive guidelines included in our curriculum ensure success and safety for our vocal students. Orchestral and band instruments define the unique voices heard in concert music. Need more: These instruments interact well in a group and are unforgettable solo voices. Contact us for details about our instructor network. Young music learners enjoy piano, ukulele, drums and vocal lessons. Group piano lessons in the digital piano lab include live video demonstrations, fun learning stations, group singing and musical games. The informal, social feeling of the group lesson format can be less intimidating than private lessons and encourages interest and progress. Guitar, bass, drums and vocals are the most popular instruments among teens. Teens enjoy learning popular music, rock, country, jazz or R&B tunes. Many enjoy learning popular music or rock tunes and performing in bands. Musical skills acquired during teen years often launch a lifelong passion for playing music for personal enjoyment. Did you know that adults can learn music faster than children? We welcome beginners and have the expertise to help you tune up long dormant skills or apply what you already know to learning a new instrument! Maybe you want to sing Happy Birthday to your mother on her next birthday while playing the Ukulele! What are you waiting for?